Test results released Tuesday show high concentrations of neurotoxic manganese in the soil of homes on Chicago’s Southeast Side. 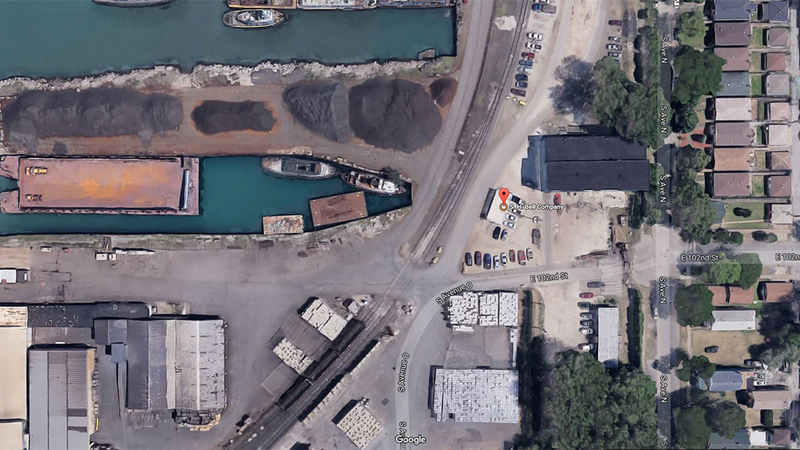 Chicago’s Department of Public Health hired a consultant to test soil samples collected at 27 homes near a bulk storage facility along the Calumet River operated by S.H. Bell Co. The Pittsburgh-based company was cited by the EPA last summer for exceeding federal health standards for emissions of manganese, a metal used in steelmaking that can cause brain damage at high concentrations. According to the results, samples from three homes indicated levels of manganese in excess of the U.S. Environmental Protection Agency’s removal threshold under its Superfund program, which identifies highly contaminated sites that pose a risk to human health and the environment. Samples from one home were more than double the emergency removal level used at Superfund sites. Sampling at more than half of the homes revealed manganese concentrations higher than cleanup standards used by some states, though below the federal threshold. The results, shared by the city with a coalition of environmental and community groups working with regulators to address the issue, provide further evidence of potentially dangerous levels of the heavy metal, which can cause Parkinson’s-like symptoms at high exposures. A recently published study of children in Ohio found a significant link between higher concentrations of manganese in hair samples and declines in IQ, mental processing speed and working memory. Nearly 20,000 people, including more than 6,000 children, live within 1 mile of S.H. Bell’s storage site, according to EPA data. Last week, advocates and residents met with city, state and federal public health officials to discuss the test results. According to the environmental groups, CDPH is planning a meeting late this month on the Southeast Side to further address residents’ concerns related to manganese. The city has also asked the EPA to conduct further soil testing in the area, according to the groups. A representative from EPA could not immediately be reached for comment. S.H. Bell said in a statement it could not comment on the test results. At least one other facility in the area handles manganese. In December, the city denied that company's request to waive a requirement that it install air monitors to track levels of manganese and other metals. Chicago has taken recent steps to address manganese pollution, though environmental advocates and residents say the efforts fall short. An ordinance approved in late March by the City Council prohibits new facilities from storing or handling materials containing more than trace amounts of manganese. For companies that currently handle manganese, the ordinance will require them to file quarterly reports with the city showing the amount of manganese they have shipped and received. CDPH has also proposed amendments to the city’s Bulk Material Regulations that would give the department the ability to require filter-based monitors, which measure levels of manganese emissions that pose a potential risk to nearby residents. But residents and advocates are asking the city for swifter action, given the risk associated with manganese exposure and its concentration on the Southeast Side. Preliminary results from an ongoing study by researchers at the University of Illinois at Chicago found that children on the Southeast Side had higher levels of manganese in their toenails than children in other parts of the city, though the researchers said it was too early to draw conclusions about the link between manganese expsoure and health issues among the study's subjects. CDPH recently updated its website with information about manganese, including tips for protecting residents from manganese dust.